Michael Redgrave hires Miss Giddens (Deborah Kerr) to act as governess to two lonely children on a sprawling estate in the English countryside. Kerr bonds instantly with the little girl, Flora (Pamela Franklin) and her strangely sophisticated brother Miles (Martin Stephens). The mansion and grounds are beautiful and Miss Giddens adores children so it’s like Mary Poppins, right? Wrong. 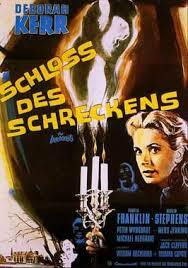 As time goes on the loneliness of the manor and Miss Giddens’ repressed nature play tricks with her mind…or do they? Is Miss Giddens losing her grip on reality or are the images of the children’s dead governess and her lover real? The Innocents, based on The Turn of the Screw by Henry James and directed by Jack Clayton (Something Wicked This Way Comes, The Great Gatsby) blurs the lines between reality and imagination. Is Giddens’ repressed spinster a source of salvation or doom? Are the children innocent and imaginative or conniving and evil? Filmed by director of photography Freddie Francis (The Elephant Man, Dune) in glorious black and white, The Innocents plays with perception and perspective. Images thrust into the foreground catch your eye, then recede as a shadowy form in the background gains clarity. If you turned off the sound, which adds an eerie aspect as well, you could still watch and enjoy the film’s spooky atmosphere. 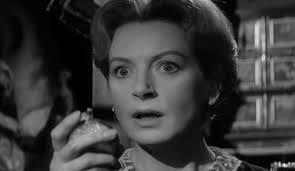 Wonderful performances by Deborah Kerr, Franklin, an underused Michael Redgrave, and the über creepy Martin Stephens of Village of the Damned fame make this a top-notch psychological horror film on the same plane as The Haunting. The Innocents just made it onto my yearly Halloween watch list. Terrific film. 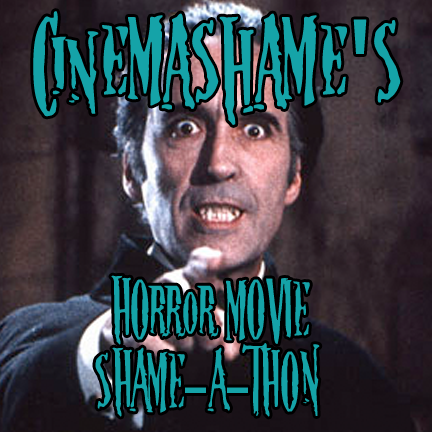 I wrote this for the @cinemashame 31 Days of Horror Shame-a-thon. Check out @thirtyhertzrumble.com for more eerie reviews. I am @echidnabot on twitter.